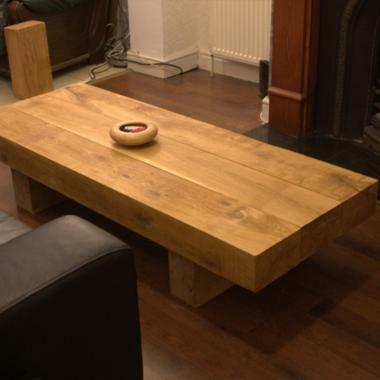 UK Sleepers are reliable and experienced suppliers of Solid Oak Sleeper Coffee Tables. Our products offer you inventive and cost-effective ways of customising your garden to give it a truly unique touch. We have all kinds of different product options available to make sure you'll be able to find exactly what it is that you're looking for. Nationwide crane vehicle delivery services are available. For more information, just give the product experts in our sales team a call on 01536 267107. Beautiful Solid Oak Sleeper Coffee Table.